The 2019 Honda Accord is a stylish 4-door sedan that comes with all of the high tech features that Lubbock drivers want, and has been praised by the experts at Kelley Blue Book who say, “If you’re looking for a safe, stylish, efficient, reliable and easy-to-own midsize sedan, the Honda Accord checks every box.” Find your perfect Accord model before testing it out in San Angelo! LX 1.5T trim, Modern Steel Metallic exterior and Gray interior. EPA 38 MPG Hwy/30 MPG City! Dual Zone A/C, Lane Keeping Assist CLICK ME! KEY FEATURES INCLUDE Back-Up Camera, Turbocharged, iPod/MP3 Input, Bluetooth, Aluminum Wheels, Keyless Start, Dual Zone A/C, Lane Keeping Assist MP3 Player, Keyless Entry, Steering Wheel Controls, Child Safety Locks, Electronic Stability Control. Honda LX 1.5T with Modern Steel Metallic exterior and Gray interior features a 4 Cylinder Engine with 192 HP at 5500 RPM*. EXPERTS RAVE Edmunds.com explains It has the practical stuff locked down: The trunk is positively huge, as is the cabin. Honda has the tech front covered, too. A considerable number of advanced safety features are standard. . Great Gas Mileage: 38 MPG Hwy. VISIT US TODAY At Honda of San Angelo in San Angelo, TX, we know cars. Better yet, we also know customer service. Want proof? Stop in today and allow us to demonstrate our commitment to excellence. Your perfect car, truck, SUV or minivan is just around the corner. Plus TT&L and fees. See dealer for details. Dual Zone A/C, Lane Keeping Assist. Obsidian Blue Pearl exterior and Gray interior, LX 1.5T trim. EPA 38 MPG Hwy/30 MPG City! READ MORE! KEY FEATURES INCLUDE Back-Up Camera, Turbocharged, iPod/MP3 Input, Bluetooth, Aluminum Wheels, Keyless Start, Dual Zone A/C, Lane Keeping Assist MP3 Player, Keyless Entry, Steering Wheel Controls, Child Safety Locks, Electronic Stability Control. Honda LX 1.5T with Obsidian Blue Pearl exterior and Gray interior features a 4 Cylinder Engine with 192 HP at 5500 RPM*. EXPERTS REPORT Edmunds.com's review says It has the practical stuff locked down: The trunk is positively huge, as is the cabin. Honda has the tech front covered, too. A considerable number of advanced safety features are standard. . Great Gas Mileage: 38 MPG Hwy. 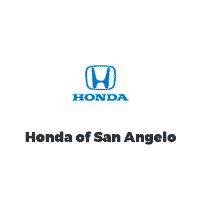 MORE ABOUT US At Honda of San Angelo in San Angelo, TX, we know cars. Better yet, we also know customer service. Want proof? Stop in today and allow us to demonstrate our commitment to excellence. Your perfect car, truck, SUV or minivan is just around the corner. Plus TT&L and fees. See dealer for details. Dual Zone A/C, Back-Up Camera. Platinum White Pearl exterior and Black interior, LX 1.5T trim. FUEL EFFICIENT 38 MPG Hwy/30 MPG City! CLICK ME! KEY FEATURES INCLUDE Back-Up Camera, Turbocharged, iPod/MP3 Input, Bluetooth, Aluminum Wheels, Keyless Start, Dual Zone A/C, Lane Keeping Assist MP3 Player, Keyless Entry, Steering Wheel Controls, Child Safety Locks, Electronic Stability Control. Honda LX 1.5T with Platinum White Pearl exterior and Black interior features a 4 Cylinder Engine with 192 HP at 5500 RPM*. EXPERTS CONCLUDE It has the practical stuff locked down: The trunk is positively huge, as is the cabin. Honda has the tech front covered, too. A considerable number of advanced safety features are standard. -Edmunds.com. Great Gas Mileage: 38 MPG Hwy. MORE ABOUT US At Honda of San Angelo in San Angelo, TX, we know cars. Better yet, we also know customer service. Want proof? Stop in today and allow us to demonstrate our commitment to excellence. Your perfect car, truck, SUV or minivan is just around the corner. Plus TT&L and fees. See dealer for details. FUEL EFFICIENT 38 MPG Hwy/30 MPG City! Modern Steel Metallic exterior and Black interior, LX 1.5T trim. Dual Zone A/C, Back-Up Camera CLICK NOW! KEY FEATURES INCLUDE Back-Up Camera, Turbocharged, iPod/MP3 Input, Bluetooth, Aluminum Wheels, Keyless Start, Dual Zone A/C, Lane Keeping Assist. MP3 Player, Keyless Entry, Steering Wheel Controls, Child Safety Locks, Electronic Stability Control. Honda LX 1.5T with Modern Steel Metallic exterior and Black interior features a 4 Cylinder Engine with 192 HP at 5500 RPM*. VEHICLE REVIEWS Edmunds.com's review says It has the practical stuff locked down: The trunk is positively huge, as is the cabin. Honda has the tech front covered, too. A considerable number of advanced safety features are standard. . Great Gas Mileage: 38 MPG Hwy. VISIT US TODAY At Honda of San Angelo in San Angelo, TX, we know cars. Better yet, we also know customer service. Want proof? Stop in today and allow us to demonstrate our commitment to excellence. Your perfect car, truck, SUV or minivan is just around the corner. Plus TT&L and fees. See dealer for details. LX 1.5T trim, Obsidian Blue Pearl exterior and Gray interior. Dual Zone A/C, Lane Keeping Assist. EPA 38 MPG Hwy/30 MPG City! SEE MORE! KEY FEATURES INCLUDE Back-Up Camera, Turbocharged, iPod/MP3 Input, Bluetooth, Aluminum Wheels, Keyless Start, Dual Zone A/C, Lane Keeping Assist. MP3 Player, Keyless Entry, Steering Wheel Controls, Child Safety Locks, Electronic Stability Control. Honda LX 1.5T with Obsidian Blue Pearl exterior and Gray interior features a 4 Cylinder Engine with 192 HP at 5500 RPM*. EXPERTS CONCLUDE It has the practical stuff locked down: The trunk is positively huge, as is the cabin. Honda has the tech front covered, too. A considerable number of advanced safety features are standard. -Edmunds.com. Great Gas Mileage: 38 MPG Hwy. VISIT US TODAY At Honda of San Angelo in San Angelo, TX, we know cars. Better yet, we also know customer service. Want proof? Stop in today and allow us to demonstrate our commitment to excellence. Your perfect car, truck, SUV or minivan is just around the corner. Plus TT&L and fees. See dealer for details. Platinum White Pearl exterior and Ivory interior, LX 1.5T trim. Dual Zone A/C, Back-Up Camera. FUEL EFFICIENT 38 MPG Hwy/30 MPG City! CLICK NOW! KEY FEATURES INCLUDE Back-Up Camera, Turbocharged, iPod/MP3 Input, Bluetooth, Aluminum Wheels, Keyless Start, Dual Zone A/C, Lane Keeping Assist. MP3 Player, Keyless Entry, Steering Wheel Controls, Child Safety Locks, Electronic Stability Control. Honda LX 1.5T with Platinum White Pearl exterior and Ivory interior features a 4 Cylinder Engine with 192 HP at 5500 RPM*. EXPERTS ARE SAYING Edmunds.com's review says It has the practical stuff locked down: The trunk is positively huge, as is the cabin. Honda has the tech front covered, too. A considerable number of advanced safety features are standard. . Great Gas Mileage: 38 MPG Hwy. OUR OFFERINGS At Honda of San Angelo in San Angelo, TX, we know cars. Better yet, we also know customer service. Want proof? Stop in today and allow us to demonstrate our commitment to excellence. Your perfect car, truck, SUV or minivan is just around the corner. Plus TT&L and fees. See dealer for details. Modern Steel Metallic exterior and Black interior, LX 1.5T trim. EPA 38 MPG Hwy/30 MPG City! Dual Zone A/C, Lane Keeping Assist CLICK NOW! KEY FEATURES INCLUDE Back-Up Camera, Turbocharged, iPod/MP3 Input, Bluetooth, Aluminum Wheels, Keyless Start, Dual Zone A/C, Lane Keeping Assist MP3 Player, Keyless Entry, Steering Wheel Controls, Child Safety Locks, Electronic Stability Control. Honda LX 1.5T with Modern Steel Metallic exterior and Black interior features a 4 Cylinder Engine with 192 HP at 5500 RPM*. EXPERTS RAVE Edmunds.com explains It has the practical stuff locked down: The trunk is positively huge, as is the cabin. Honda has the tech front covered, too. A considerable number of advanced safety features are standard. . Great Gas Mileage: 38 MPG Hwy. MORE ABOUT US At Honda of San Angelo in San Angelo, TX, we know cars. Better yet, we also know customer service. Want proof? Stop in today and allow us to demonstrate our commitment to excellence. Your perfect car, truck, SUV or minivan is just around the corner. Plus TT&L and fees. See dealer for details. Smart Device Integration, Lane Keeping Assist. EPA 35 MPG Hwy/29 MPG City! San Marino Red exterior and Black interior, Sport 1.5T trim READ MORE! KEY FEATURES INCLUDE Back-Up Camera, Turbocharged, iPod/MP3 Input, Onboard Communications System, Aluminum Wheels, Keyless Start, Dual Zone A/C, Smart Device Integration, Lane Keeping Assist Rear Spoiler, MP3 Player, Keyless Entry, Steering Wheel Controls, Child Safety Locks. Honda Sport 1.5T with San Marino Red exterior and Black interior features a 4 Cylinder Engine with 192 HP at 5500 RPM*. EXPERTS RAVE Edmunds.com explains It has the practical stuff locked down: The trunk is positively huge, as is the cabin. Honda has the tech front covered, too. A considerable number of advanced safety features are standard. . Great Gas Mileage: 35 MPG Hwy. WHY BUY FROM US At Honda of San Angelo in San Angelo, TX, we know cars. Better yet, we also know customer service. Want proof? Stop in today and allow us to demonstrate our commitment to excellence. Your perfect car, truck, SUV or minivan is just around the corner. Plus TT&L and fees. See dealer for details. Smart Device Integration. FUEL EFFICIENT 35 MPG Hwy/29 MPG City! Sport 1.5T trim, Still Night Pearl exterior and Black interior CLICK ME! KEY FEATURES INCLUDE Back-Up Camera, Turbocharged, iPod/MP3 Input, Onboard Communications System, Aluminum Wheels, Keyless Start, Dual Zone A/C, Smart Device Integration, Lane Keeping Assist. Rear Spoiler, MP3 Player, Keyless Entry, Steering Wheel Controls, Child Safety Locks. Honda Sport 1.5T with Still Night Pearl exterior and Black interior features a 4 Cylinder Engine with 192 HP at 5500 RPM*. VEHICLE REVIEWS It has the practical stuff locked down: The trunk is positively huge, as is the cabin. Honda has the tech front covered, too. A considerable number of advanced safety features are standard. -Edmunds.com. Great Gas Mileage: 35 MPG Hwy. WHY BUY FROM US At Honda of San Angelo in San Angelo, TX, we know cars. Better yet, we also know customer service. Want proof? Stop in today and allow us to demonstrate our commitment to excellence. Your perfect car, truck, SUV or minivan is just around the corner. Plus TT&L and fees. See dealer for details. Sport 1.5T trim, Still Night Pearl exterior and Black interior. EPA 35 MPG Hwy/29 MPG City! Smart Device Integration, Dual Zone A/C AND MORE! KEY FEATURES INCLUDE Back-Up Camera, Turbocharged, iPod/MP3 Input, Onboard Communications System, Aluminum Wheels, Keyless Start, Dual Zone A/C, Smart Device Integration, Lane Keeping Assist Rear Spoiler, MP3 Player, Keyless Entry, Steering Wheel Controls, Child Safety Locks. Honda Sport 1.5T with Still Night Pearl exterior and Black interior features a 4 Cylinder Engine with 192 HP at 5500 RPM*. EXPERTS ARE SAYING Edmunds.com explains It has the practical stuff locked down: The trunk is positively huge, as is the cabin. Honda has the tech front covered, too. A considerable number of advanced safety features are standard. . Great Gas Mileage: 35 MPG Hwy. OUR OFFERINGS At Honda of San Angelo in San Angelo, TX, we know cars. Better yet, we also know customer service. Want proof? Stop in today and allow us to demonstrate our commitment to excellence. Your perfect car, truck, SUV or minivan is just around the corner. Plus TT&L and fees. See dealer for details. Lunar Silver Metallic exterior and Black interior, Sport 1.5T trim. Smart Device Integration. FUEL EFFICIENT 35 MPG Hwy/29 MPG City! SEE MORE! KEY FEATURES INCLUDE Back-Up Camera, Turbocharged, iPod/MP3 Input, Onboard Communications System, Aluminum Wheels, Keyless Start, Dual Zone A/C, Smart Device Integration, Lane Keeping Assist. Rear Spoiler, MP3 Player, Keyless Entry, Steering Wheel Controls, Child Safety Locks. Honda Sport 1.5T with Lunar Silver Metallic exterior and Black interior features a 4 Cylinder Engine with 192 HP at 5500 RPM*. EXPERTS RAVE It has the practical stuff locked down: The trunk is positively huge, as is the cabin. Honda has the tech front covered, too. A considerable number of advanced safety features are standard. -Edmunds.com. Great Gas Mileage: 35 MPG Hwy. VISIT US TODAY At Honda of San Angelo in San Angelo, TX, we know cars. Better yet, we also know customer service. Want proof? Stop in today and allow us to demonstrate our commitment to excellence. Your perfect car, truck, SUV or minivan is just around the corner. Plus TT&L and fees. See dealer for details. Sport 1.5T trim, Platinum White Pearl exterior and Black interior. Smart Device Integration. FUEL EFFICIENT 35 MPG Hwy/29 MPG City! SEE MORE! KEY FEATURES INCLUDE Back-Up Camera, Turbocharged, iPod/MP3 Input, Onboard Communications System, Aluminum Wheels, Keyless Start, Dual Zone A/C, Smart Device Integration, Lane Keeping Assist. Rear Spoiler, MP3 Player, Keyless Entry, Steering Wheel Controls, Child Safety Locks. Honda Sport 1.5T with Platinum White Pearl exterior and Black interior features a 4 Cylinder Engine with 192 HP at 5500 RPM*. EXPERTS RAVE Edmunds.com's review says It has the practical stuff locked down: The trunk is positively huge, as is the cabin. Honda has the tech front covered, too. A considerable number of advanced safety features are standard. . Great Gas Mileage: 35 MPG Hwy. VISIT US TODAY At Honda of San Angelo in San Angelo, TX, we know cars. Better yet, we also know customer service. Want proof? Stop in today and allow us to demonstrate our commitment to excellence. Your perfect car, truck, SUV or minivan is just around the corner. Plus TT&L and fees. See dealer for details. Heated Seats, Sunroof. Platinum White Pearl exterior and Black interior, EX 1.5T trim. FUEL EFFICIENT 38 MPG Hwy/30 MPG City! CLICK ME! KEY FEATURES INCLUDE Sunroof, Heated Driver Seat, Back-Up Camera, Turbocharged, Satellite Radio, iPod/MP3 Input, Onboard Communications System, Aluminum Wheels, Remote Engine Start, Dual Zone A/C, Smart Device Integration, Blind Spot Monitor, Lane Keeping Assist, Cross-Traffic Alert, Heated Seats MP3 Player, Keyless Entry, Steering Wheel Controls, Child Safety Locks, Heated Mirrors. Honda EX 1.5T with Platinum White Pearl exterior and Black interior features a 4 Cylinder Engine with 192 HP at 5500 RPM*. EXPERTS REPORT It has the practical stuff locked down: The trunk is positively huge, as is the cabin. Honda has the tech front covered, too. A considerable number of advanced safety features are standard. -Edmunds.com. Great Gas Mileage: 38 MPG Hwy. MORE ABOUT US At Honda of San Angelo in San Angelo, TX, we know cars. Better yet, we also know customer service. Want proof? Stop in today and allow us to demonstrate our commitment to excellence. Your perfect car, truck, SUV or minivan is just around the corner. Plus TT&L and fees. See dealer for details. Sunroof, Heated Seats, Dual Zone A/C. EX 1.5T trim, Lunar Silver Metallic exterior and Gray interior. EPA 38 MPG Hwy/30 MPG City! CLICK ME! KEY FEATURES INCLUDE Sunroof, Heated Driver Seat, Back-Up Camera, Turbocharged, Satellite Radio, iPod/MP3 Input, Onboard Communications System, Aluminum Wheels, Remote Engine Start, Dual Zone A/C, Smart Device Integration, Blind Spot Monitor, Lane Keeping Assist, Cross-Traffic Alert, Heated Seats MP3 Player, Keyless Entry, Steering Wheel Controls, Child Safety Locks, Heated Mirrors. Honda EX 1.5T with Lunar Silver Metallic exterior and Gray interior features a 4 Cylinder Engine with 192 HP at 5500 RPM*. VEHICLE REVIEWS Edmunds.com's review says It has the practical stuff locked down: The trunk is positively huge, as is the cabin. Honda has the tech front covered, too. A considerable number of advanced safety features are standard. . Great Gas Mileage: 38 MPG Hwy. BUY FROM AN AWARD WINNING DEALER At Honda of San Angelo in San Angelo, TX, we know cars. Better yet, we also know customer service. Want proof? Stop in today and allow us to demonstrate our commitment to excellence. Your perfect car, truck, SUV or minivan is just around the corner. Plus TT&L and fees. See dealer for details. Heated Seats, Moonroof. Radiant Red Metallic exterior and Ivory interior, EX 1.5T trim. FUEL EFFICIENT 38 MPG Hwy/30 MPG City! CLICK ME! KEY FEATURES INCLUDE Sunroof, Heated Driver Seat, Back-Up Camera, Turbocharged, Satellite Radio, iPod/MP3 Input, Onboard Communications System, Aluminum Wheels, Remote Engine Start, Dual Zone A/C, Smart Device Integration, Blind Spot Monitor, Lane Keeping Assist, Cross-Traffic Alert, Heated Seats MP3 Player, Keyless Entry, Steering Wheel Controls, Child Safety Locks, Heated Mirrors. Honda EX 1.5T with Radiant Red Metallic exterior and Ivory interior features a 4 Cylinder Engine with 192 HP at 5500 RPM*. VEHICLE REVIEWS Edmunds.com's review says It has the practical stuff locked down: The trunk is positively huge, as is the cabin. Honda has the tech front covered, too. A considerable number of advanced safety features are standard. . Great Gas Mileage: 38 MPG Hwy. OUR OFFERINGS At Honda of San Angelo in San Angelo, TX, we know cars. Better yet, we also know customer service. Want proof? Stop in today and allow us to demonstrate our commitment to excellence. Your perfect car, truck, SUV or minivan is just around the corner. Plus TT&L and fees. See dealer for details. Heated Seats, Sunroof, Dual Zone A/C, Back-Up Camera. EPA 38 MPG Hwy/30 MPG City! Platinum White Pearl exterior and Ivory interior CLICK NOW! KEY FEATURES INCLUDE Sunroof, Heated Driver Seat, Back-Up Camera, Turbocharged, Satellite Radio, iPod/MP3 Input, Onboard Communications System, Aluminum Wheels, Remote Engine Start, Dual Zone A/C, Smart Device Integration, Blind Spot Monitor, Lane Keeping Assist, Cross-Traffic Alert, Heated Seats MP3 Player, Keyless Entry, Steering Wheel Controls, Child Safety Locks, Heated Mirrors. Honda EX 1.5T with Platinum White Pearl exterior and Ivory interior features a 4 Cylinder Engine with 192 HP at 5500 RPM*. EXPERTS RAVE Edmunds.com explains It has the practical stuff locked down: The trunk is positively huge, as is the cabin. Honda has the tech front covered, too. A considerable number of advanced safety features are standard. . Great Gas Mileage: 38 MPG Hwy. MORE ABOUT US At Honda of San Angelo in San Angelo, TX, we know cars. Better yet, we also know customer service. Want proof? Stop in today and allow us to demonstrate our commitment to excellence. Your perfect car, truck, SUV or minivan is just around the corner. Plus TT&L and fees. See dealer for details. If you’d like more information, compare the Accord vs. Civic , Mazda6, or Ford Fusion, feel free to contact us. We’d love to put you behind the wheel of a new Accord today!